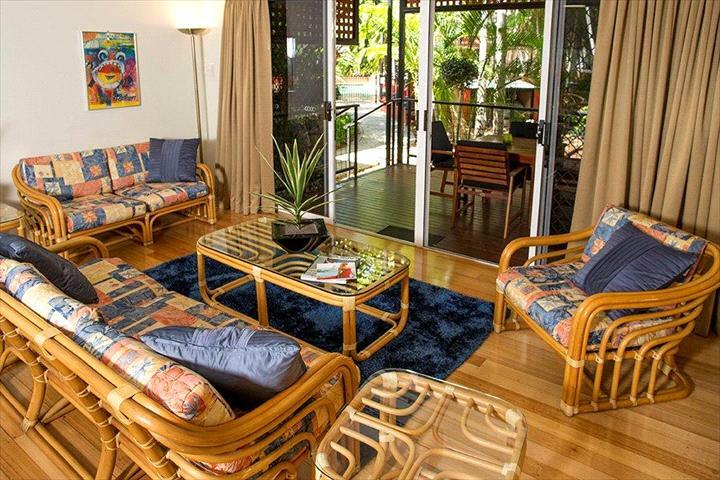 UNWIND in Parap's most spacious serviced apartments. Just five minutes from Darwin CBD. 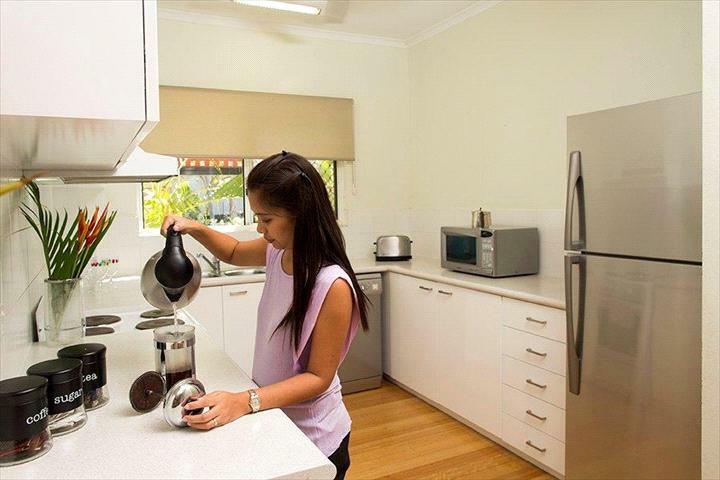 Whether you're staying for one night or several weeks, the fully self-contained Parap Village Apartments are perfect for business or pleasure. 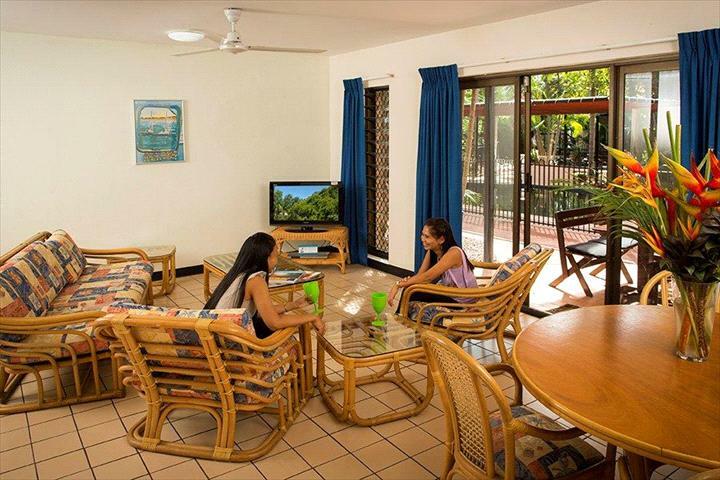 The modern, two and three bedroom apartments all provide private balconies or courtyards surrounded by lush, tropical gardens. Available Rooms Two Bedroom Standard Apartment The spacious two bedroom apartments, each with a separate lounge and dinning room with private balconies. Two Bedroom Deluxe Apartment * four star rating * Enjoy the modern spacious two bedroom apartments that come with a separate lounge and dinning area, and are self contained, with a kitchen and laundry and private balconies. Three Bedroom Townhouse Relax in a three bedroom townhouse. The bedrooms and bathrooms are located upstairs, there is a private courtyard, and an open plan lounge and dining. This is a two bedroom Apt with full kitchen facilities. There is one king bed in the main bedroom and two singles in other room. Foldaway bed available on request. This apartment can also be coverted to four singles, or two kings. Apartments come with own private balconies. Bed configuration is to be re-confimed with operator. This Apartment has full kitchen Faclilites, with three bedrooms, bathroom, toilet upstairs, along with kitchen, dining area, laundry and second toilet downstairs. This apartment also comes with its own private courtyard and BBQ. Bedding configuration: One king and four singles. Apartment can be converted into six singles, or three kings. Foldaway bed is available on request. Please re-confirm bed configuration with operator. This Apartment has full kitchen Faclilites, with three bedrooms, bathroom, toilet upstairs, along with kitchen, dining area, laundry and second toilet downstairs. This apartment also comes with its own private courtyard. Spacious deluxe apartments have a 4 star rating and come with a queen bed in the main bedroom and two single beds in the second bedroom. There is a dishwasher, DVD player and stereo. All apartments have their own private balconies and BBQ.